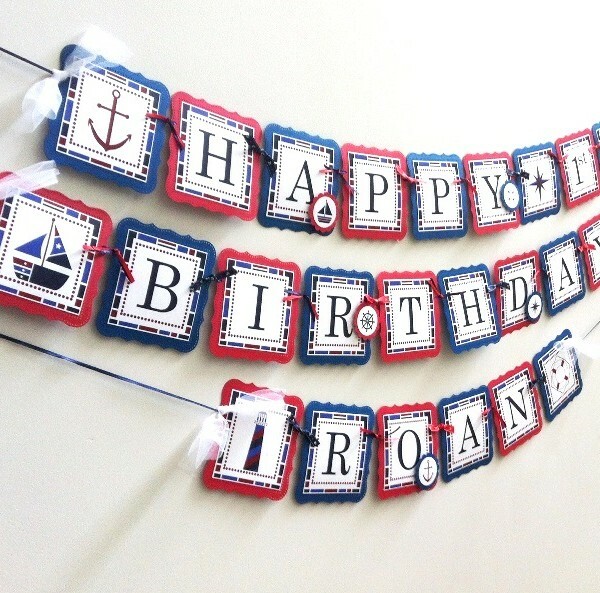 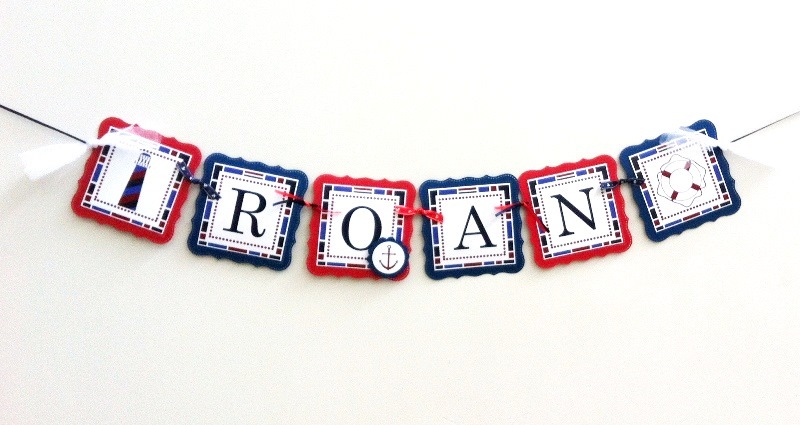 Nautical Banner, a perfect decoration for your Nautical themed party. 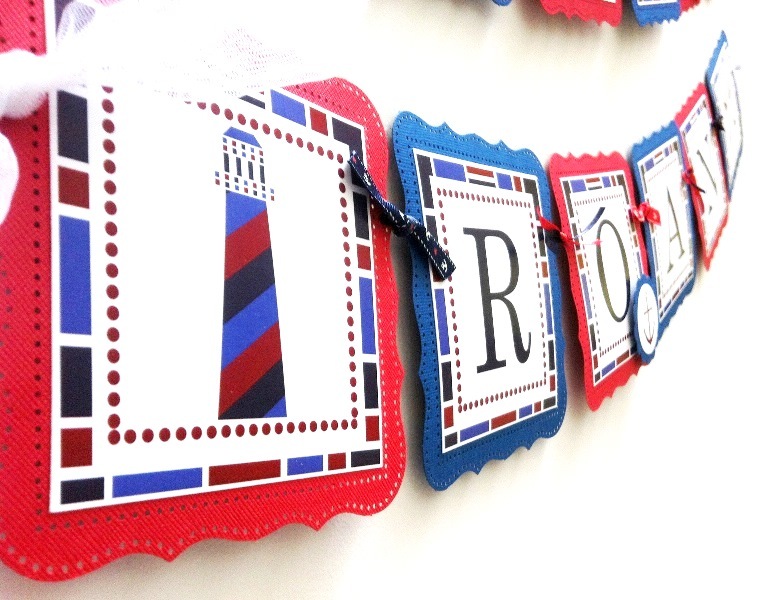 It’s also a perfect backdrop as a photo prop. 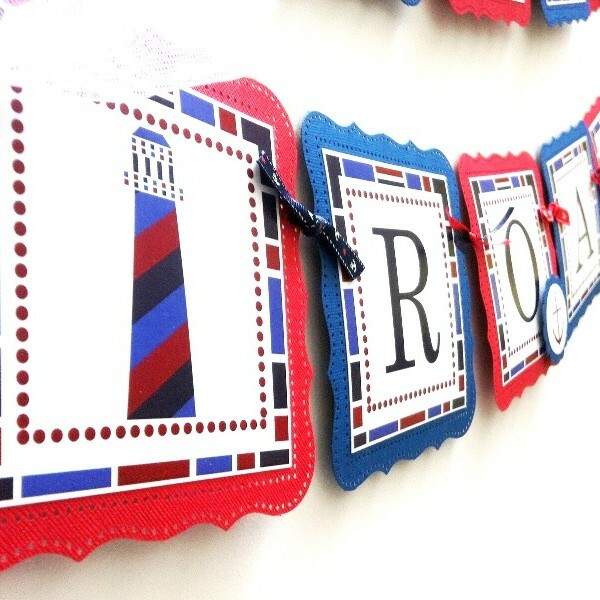 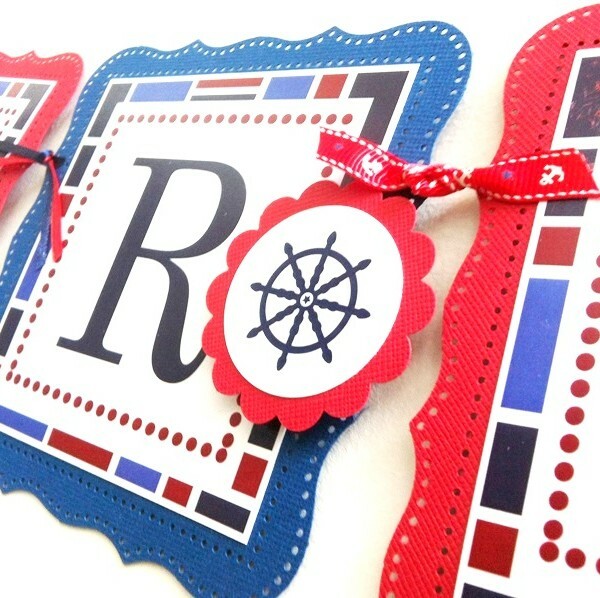 The navy blue and red colors of this banner fit really well for Nautical theme event. 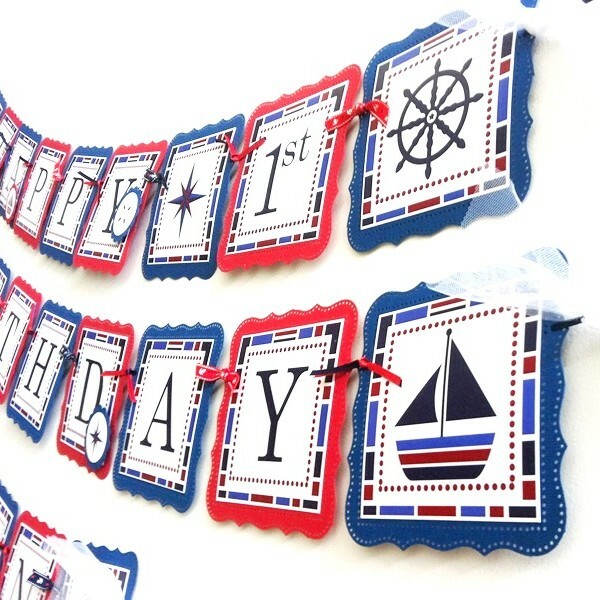 This Nautical Banner has many maritime inspired images such as Anchor, Compass, Captain’s Wheel, and Sailboats. 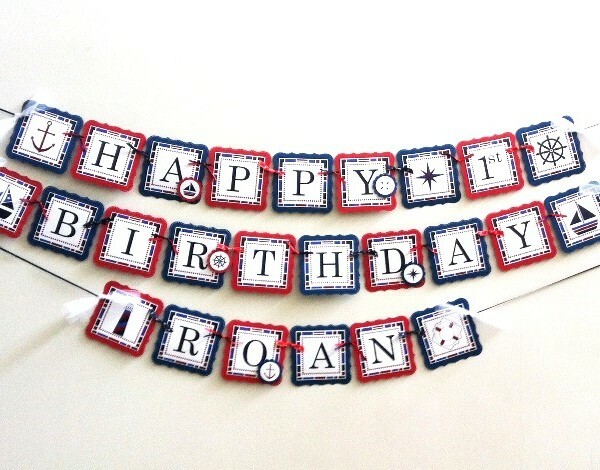 This one is specifically for a birthday party. 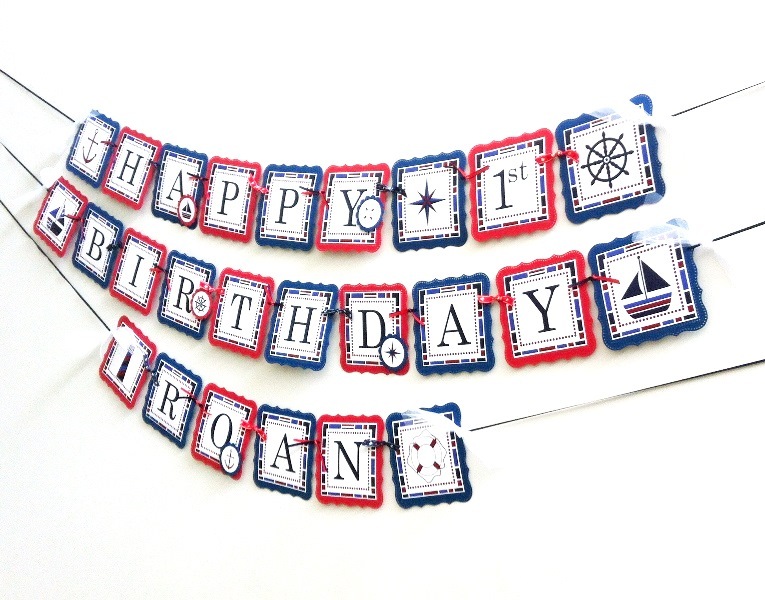 In this listing, you will receive 2-strand banner that says “Happy [AGE] Birthday”. 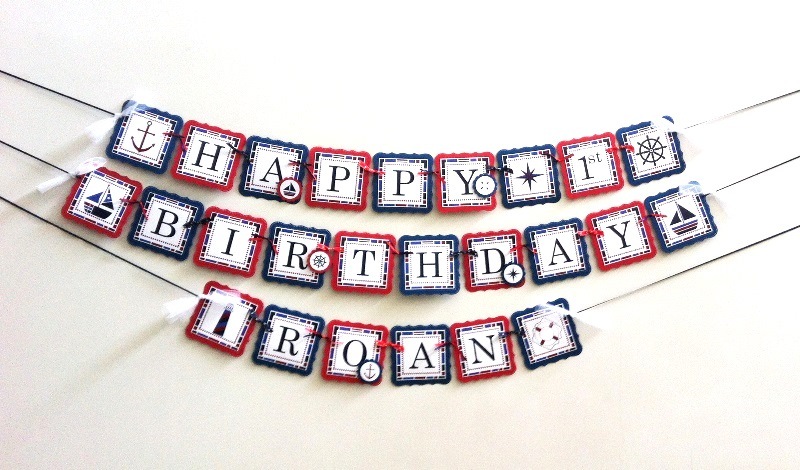 There is a total of 19 (nineteen) pennants altogether. 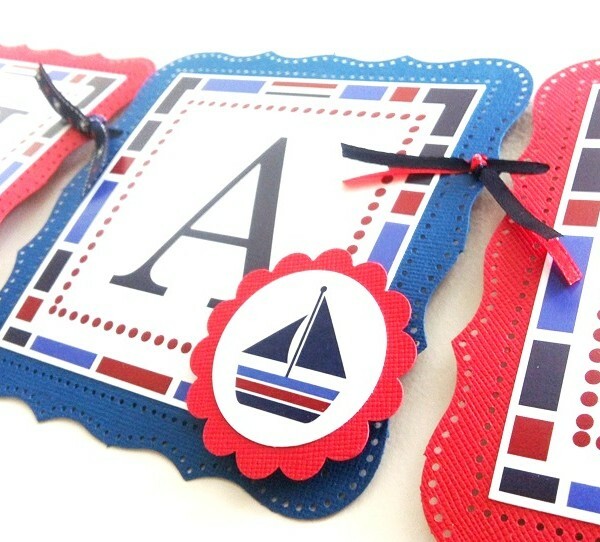 Each pennant is about 5 inches square (12.70 cm). 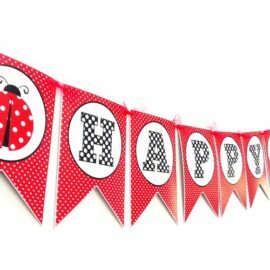 The extra length of ribbon on each side of the banner provides you with flexibility as you can expand or space the pennants out. 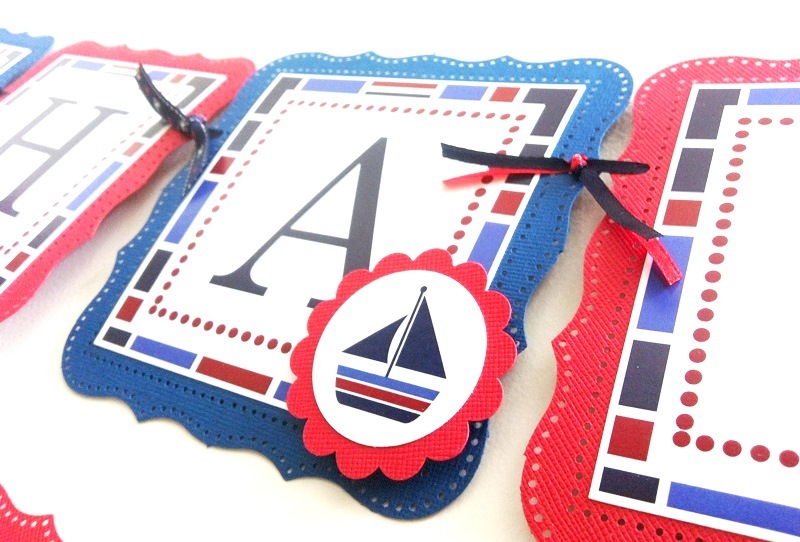 Take a look at how detail each pennant is. 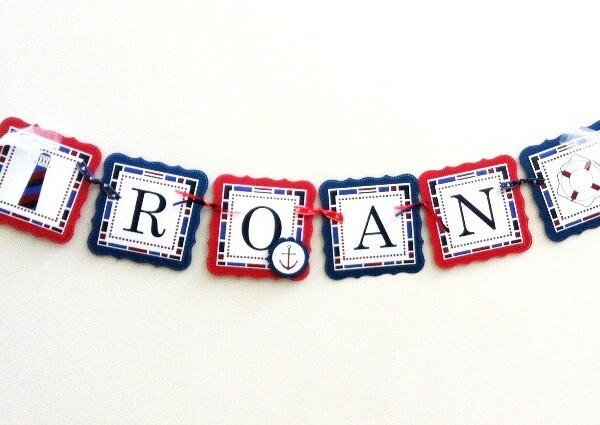 It is exquisite. 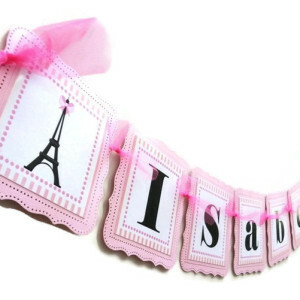 Each square panel is made with decorated border, giving this banner a detail, fancy and one of a kind look. 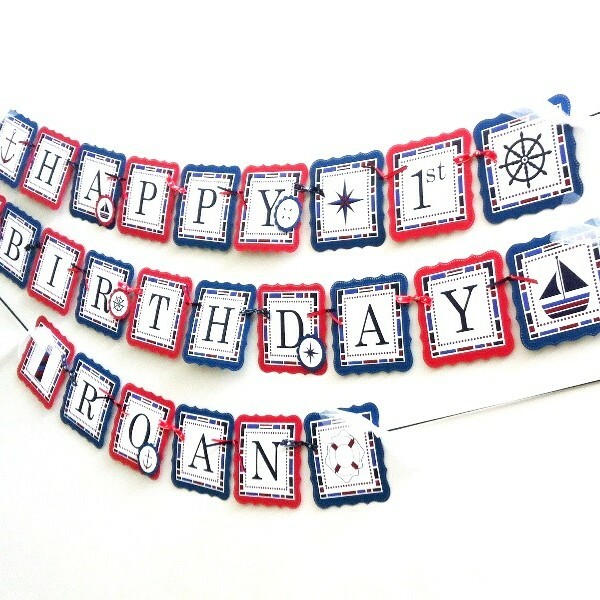 The extra detail includes those scallop circle of Nautical inspired images throughout the 2-strands banner. 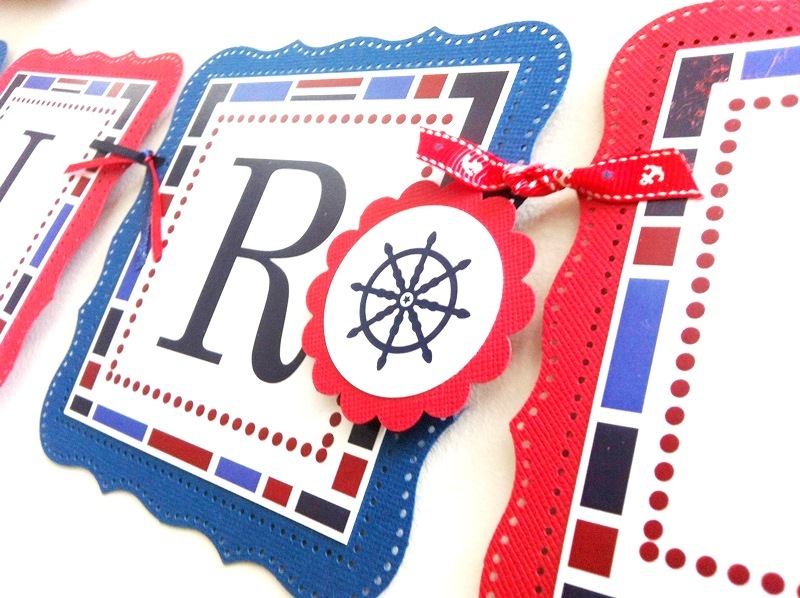 This banner is made with beautiful textured cardstocks. 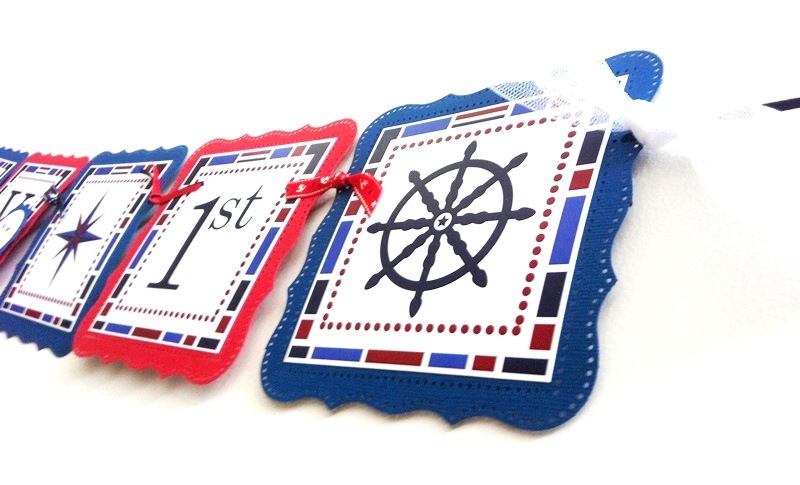 Really, you will receive one of a kind Nautical banner that adorn your party. 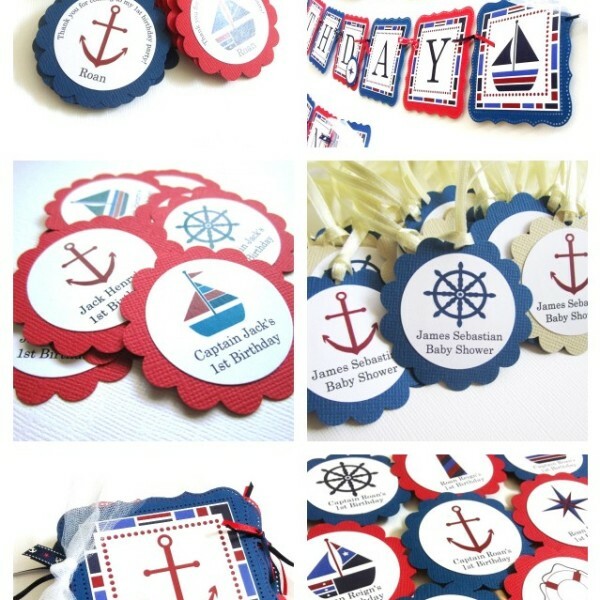 Nautical theme is not only a popular for a birthday party. 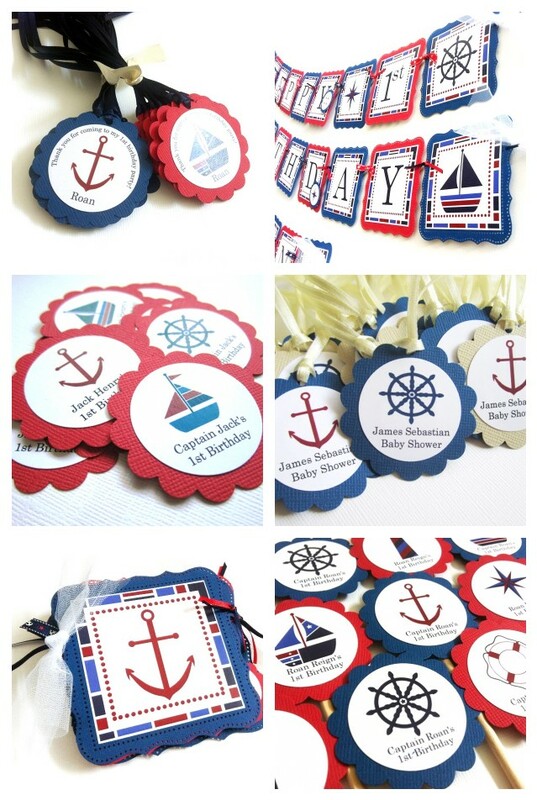 Nautical theme is also perfect for Wedding, Bridal Shower, Baby Shower, and Retirement parties. 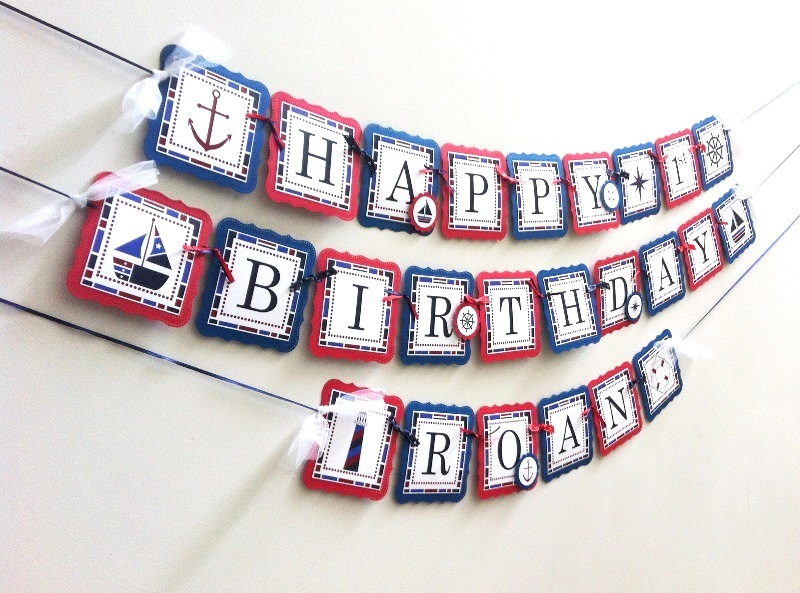 We can make a custom Nautical banner to meet your party need. 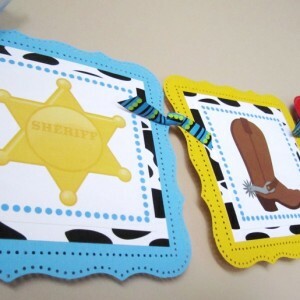 Indicate the age. 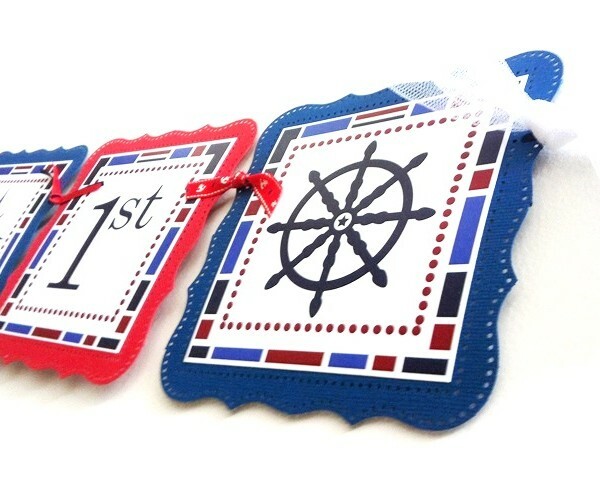 Listed in the drop menu is from “1st” to “8th”. 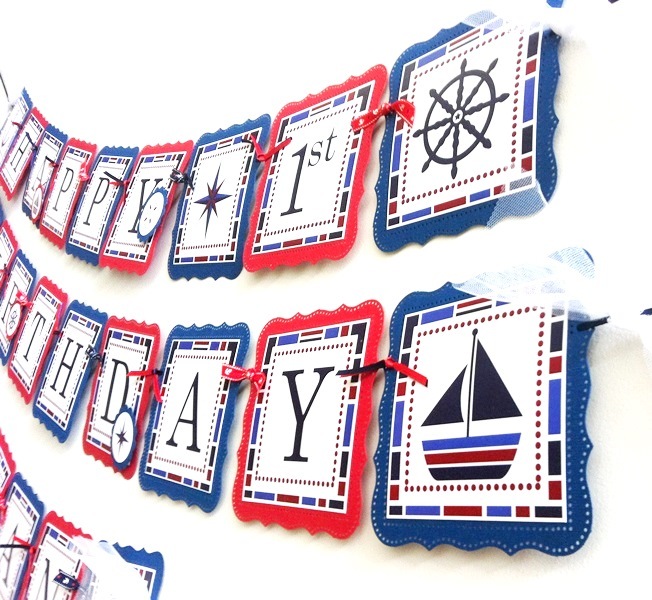 If it’s ‘other’, please let us know the age in the notes field, on the billing section.